Area rugs can really add style to your home and warm up your toes on cold days but have you ever thought about what might be hiding in your rugs? Pets, kids, spouses…they all track in their fair share of dirt on a daily basis. And while vacuuming can pick up a large percentage of that dirt, it won’t clean it all out. Pet dander, stains, mud, debris, odors, it all adds up, and can really take a toll on your rugs and your home air quality. 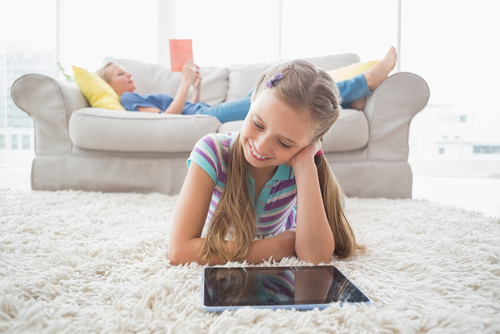 Cleaning the dust and dander out of your rugs will help your family breathe easier. Professionally cleaning your area rugs will help them last longer and keep them looking beautiful. At Crest, we know how important your home is to you, and how important it is to keep your rugs looking as good as new. We can dry clean almost any rug, and during September and October 2018, we’ll clean 2 of your area rugs for the price of 1! Because there are so many different materials used in rugs today, we’ll make sure to take a look first and let you know if your area rug is suitable for professional cleaning. Our free delivery service will save you time, too! We know that home is where the clean is, and we’ll come right to your door for both pickup and delivery—free of charge! That’s one less item on your to-do list, one less drive across town. Let us help you save money and help get your rugs looking as good as new! Schedule home pickup today! And remember, during September and October 2018, we’ll clean two of your area rugs for the price of one!